Home > News > New Product Release!!! This innovative tool is designed for polishing/ deburring inside bores of metal or wooden components on a conventional manual centre lathe. It is the safe solution to polishing inside bores without resorting to potentially dangerous makeshift tools or hand held emery cloth. 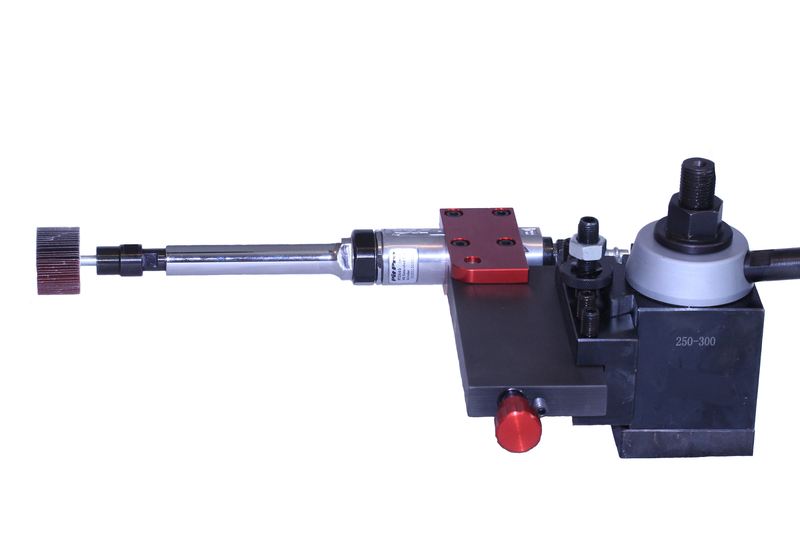 The MST-IPA is portable and is mounted onto the lathe by simply clamping it into the lathes existing tool holder. All that is needed is a connection to a compressed air supply (min 6 bar). The pneumatic spindle runs at 20,000rpm and is switched ON/OFF simply by the control knob at the front of the tool block. The abrasive flap wheel is attached to the front of the pneumatic spindle. A wide range of flap wheel grit grades (80 – 400 grit) are available for most applications.